August is here, and the new school year is about to begin. And back to school time means new backpack time! Here are some of our all-time favorite free backpack tutorials and patterns to get you inspired for back to school! 1. Laura from Trash To Couture shows you how to take one yard of sturdy fabric and turn it into this stylish DIY Backpack. 2. Get the how-to for this cute Drawstring Knapsack from I Have To Say blog. 3. Birch Organic Fabrics shares this Tutorial for the Little Hitchhiker Backpack. 5. Charity shares a downloadable pattern and tutorial for making a Toddler Backpack at her blog, IndieTutes. 6. Becky has put together a free tutorial at Infarrantly Creative for an especially sweet Toddler Backpack. 7. The creatives at Fiskars walks you through a step-by-step for creating this Handmade Kids Backpack. 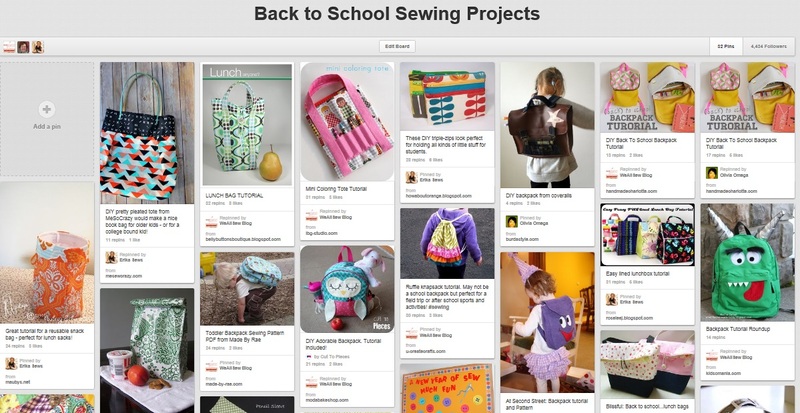 For EVEN MORE back to school tutorials and free projects visit our WeAllSew blog Pinterest board aptly titled “Back to school sewing projects“!